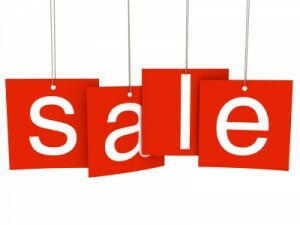 When it comes down to the last few days of the year we are all looking for the best year end sales. So, I want to share a few that relate to baseball collectibles and memorabilia, just in case you might be looking for something special heading into the new year. Remember, these sales will end soon, so you don’t have much time to make a decision. You’ll find a big site-wide sale on most collectibles, jerseys, caps, home and office items, dvds and books, as well as many non-autographed memorabilia items. Not only is MLB pulling out the stops with a buy one, get a second at 50% off sale, they also are offering free shipping on any order over $50. You can read more about a couple of the items included in this sale: bobbleheads and the very popular OYO Sportstoys mini-figures (click either link to read). 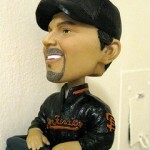 Once you are at the site, select Collectibles, then either Bobbleheads or Building Toys & Other. This is a top 500 internet retailing organization with a goal to become the leading source on the internet for genuine sports collectibles. They offer signed equipment in addition to baseball collectibles. SportsMemorabilia is not only having a post-holiday clearance sale through the end of the year, they also are featuring a special coupon savings event that runs until the end of January. The more you spend, the more you save. It’s a coupon sale based on your level of purchase. Hurry and take advantage of these savings. Get a discount based on purchase of $100 or more with appropriate coupon code. Good through 01/31/2015. SHOP NOW! Initiated in 1987, Steiner Sports has established itself as one of the leading providers of authentic autographed memorabilia. They also have become a leader in sports marketing services. 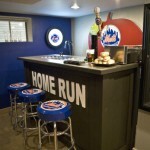 Steiner’s “Deck out the Man Cave” coupon special is coming to a close on December 31. You’ll find a site-wide 20% discount when you specify coupon code CAVE20. They also offer free shipping on orders over $200. 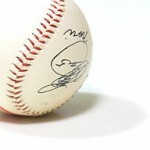 And don’t forget that Steiner continues to offer the Derek Jeter Signature Collection (click the link to read more). Fanatics is one of the biggest online retailers of officially licensed sports merchandise. It is in the top 50 of all internet retailing companies. 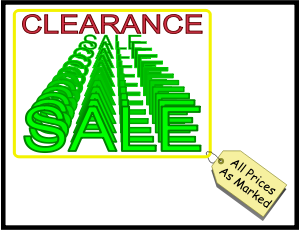 This Year-End Clearance Sale is fantastic, with savings of 30-60%. Also, they offer free shipping on any order over $50 (use code 50SHIP). Don’t lose out on this one. Click the link below to get to the sale, which is the largest ever at Fanatics. You have a couple extra days for this one – it runs through January 2, 2015. Previous PostAmazon Clearance Deals for 2014Next PostBoston Red Stockings Cards – What’s Their Value?